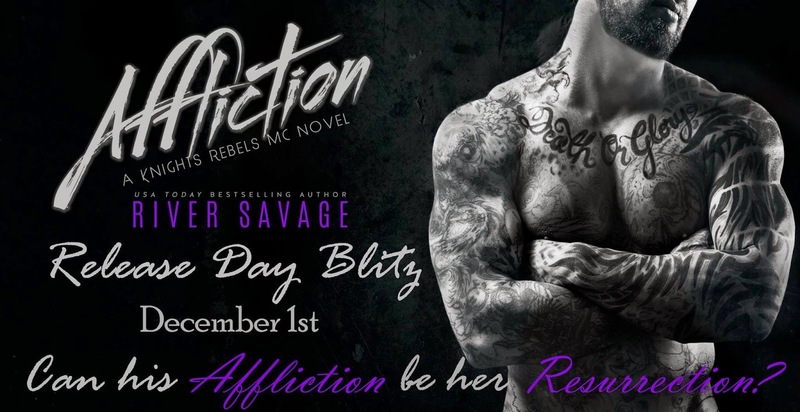 Affliction is book 2 of the A Knights Rebels MC series. I had not read book 1 but recommend reading the series in order. There were a few times that I didn't understand what was going on and why as well as who some of the characters were but that was strictly on me since I didn't read the first book (Incandescent). That said, I really enjoyed Affliction and plan on reading more in the series. Affliction is Sy and Holly's story. 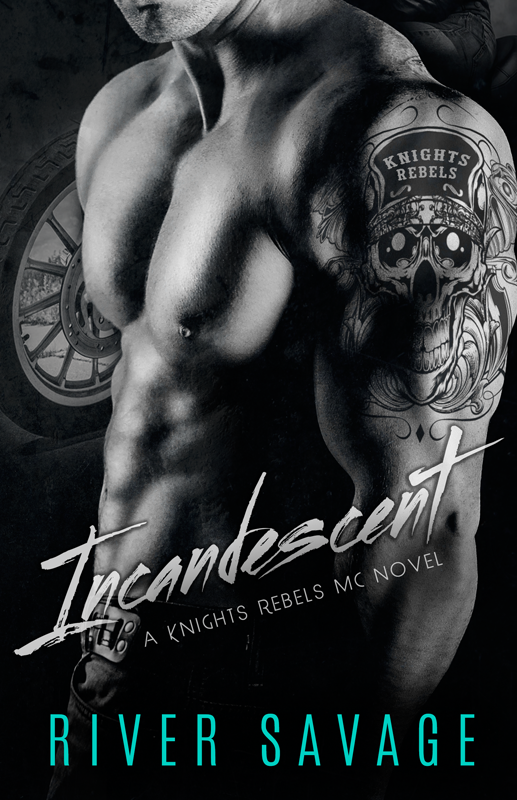 Sy is the dark, quiet, and brooding member of the Knight's Rebels MC that works at the tattoo business. He has seen Holly before as she is the best-friend of Kandence, the girlfriend of Nix, the president of the Knights Rebels (book 1 is Nix's and Kandence's story). A man of few words, Sy gets stuck giving Holly a ride home from the tattoo shop; he barely speaks to her at all. BUT, Sy and Holly have a sexual chemistry that is off the charts HOTT and they don't take long to act on it. Sy and Holly are both emotionally damaged; each having a tragic past life-altering experience and being complete opposites of each other. One of the things I really liked about Affliction was that as the book went on, Sy and Holly developed a very supportive relationship with each other. Sure, it started out rocky with Sy hardly talking to Holly but they eventually came to a place where they were there for each other as they began to work through their damaged past. As a reader, I really found myself pulling for Sy's and Holly's relationship to weather all the challenges that were thrown at them. Overall, I thought Ms. Savage wrote a fantastic story for Sy and Holly. I would definitely recommend this series to any MC loving reader.